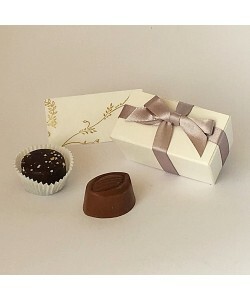 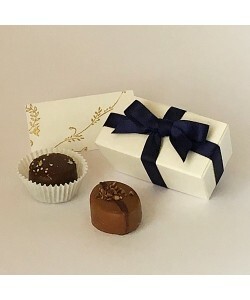 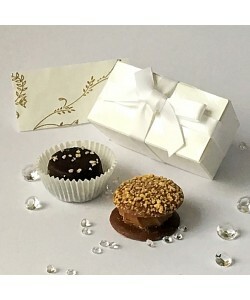 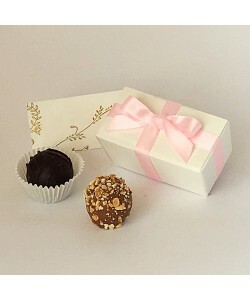 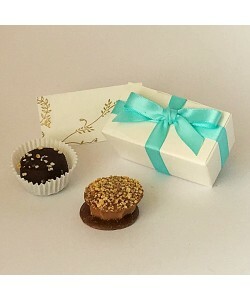 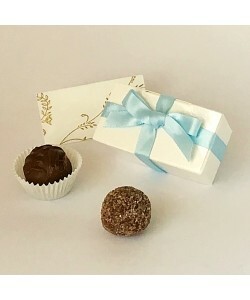 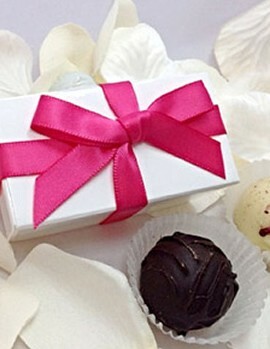 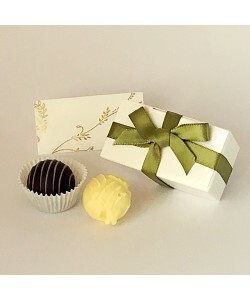 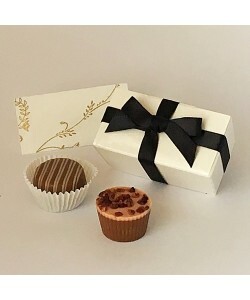 Favour gift box contains two delicious chocolates with a white hand tied double faced satin bow. 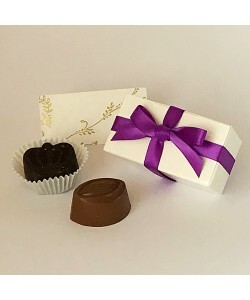 7cm x 3.5cm x 3cm Approx 26g *Available in a variety of colour options - please enquire for details. 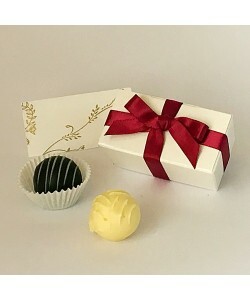 A ribboned favour box with a beautiful double faced satin bow. 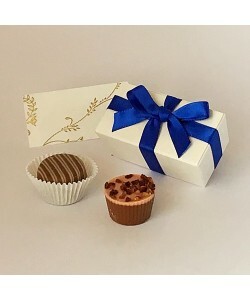 Open the box to reveal two mouth watering chocolates. 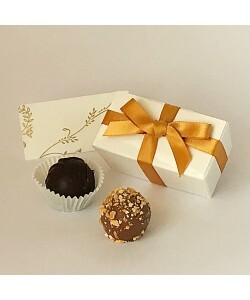 7cm x 3.5cm x 3cm Approx 26g Also suitable for a 50th Golden Wedding Anniversary party.